These are the best and easiest to make sugar cookies! Homemade sugar cookies are always a huge hit, and these are perfect for rolling and cutting into your favorite shapes or you can slice and bake if you prefer. Decorate with frosting, colored sugar or sprinkles! You will love these buttery, tender textured, crisp edged cookies. They make any afternoon special. Each bag makes approximately 20 cookies and is hand crafted in small batches in Ailey, Georgia. Check our Cookie Cutter Shapes in the General Store tab! 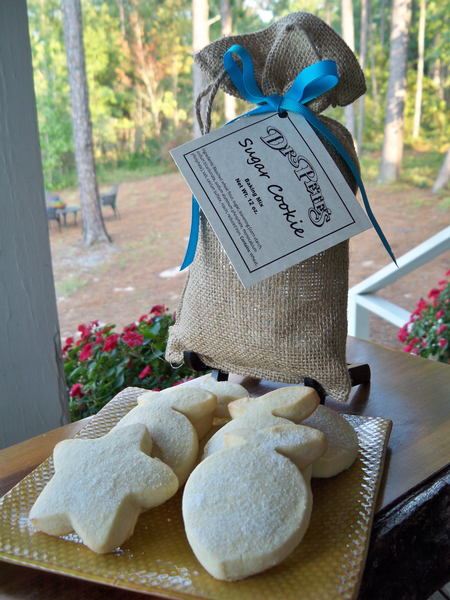 Makes the perfect addition to a Sugar Cookie Baking Mix!